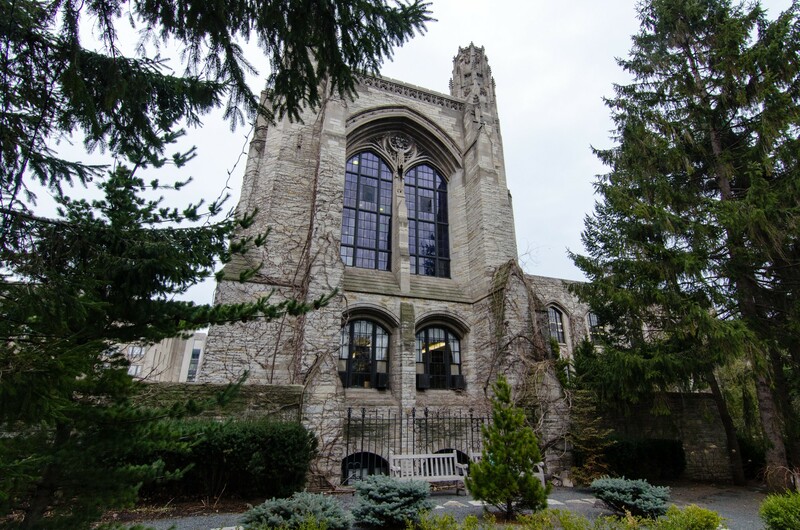 On the edge of the great lawn at the heart of Northwestern's campus rises a monumental building by the master of Collegiate Gothic architecture. 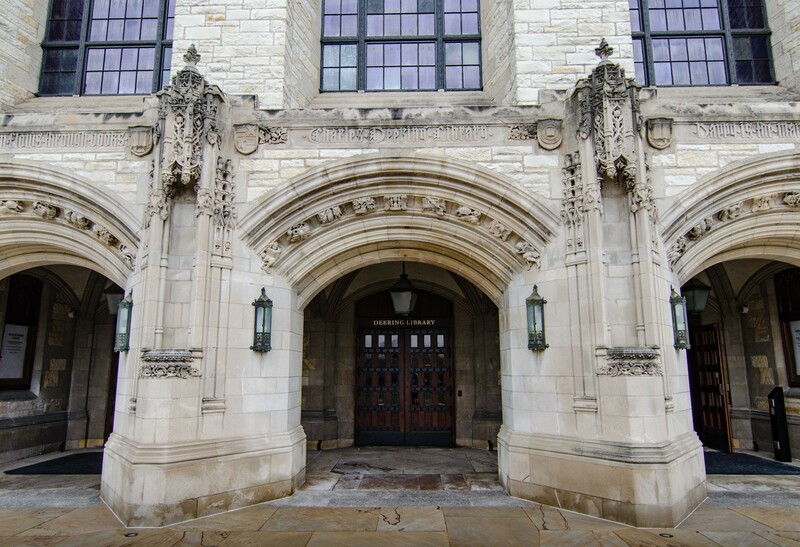 Its construction was funded by the Deering and McCormick families, who founded International Harvester. 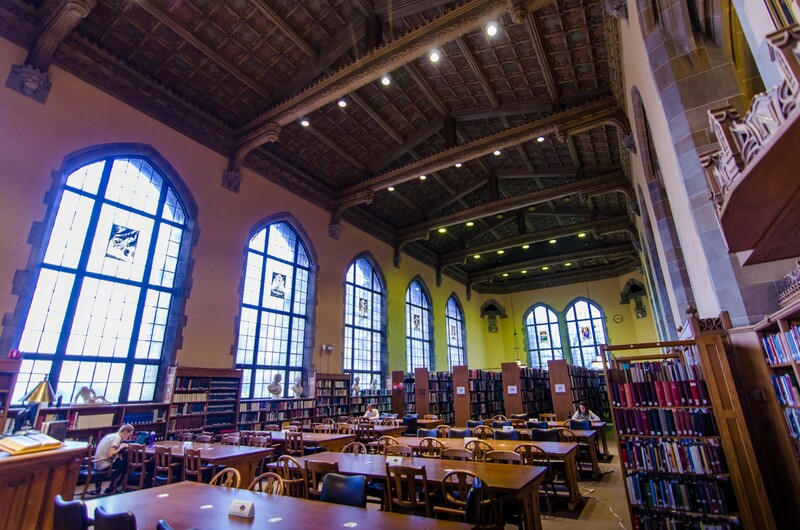 The library's mass and four short corner towers allegedly prompted Frank Lloyd Wright to disparage it as "a pig on its back." 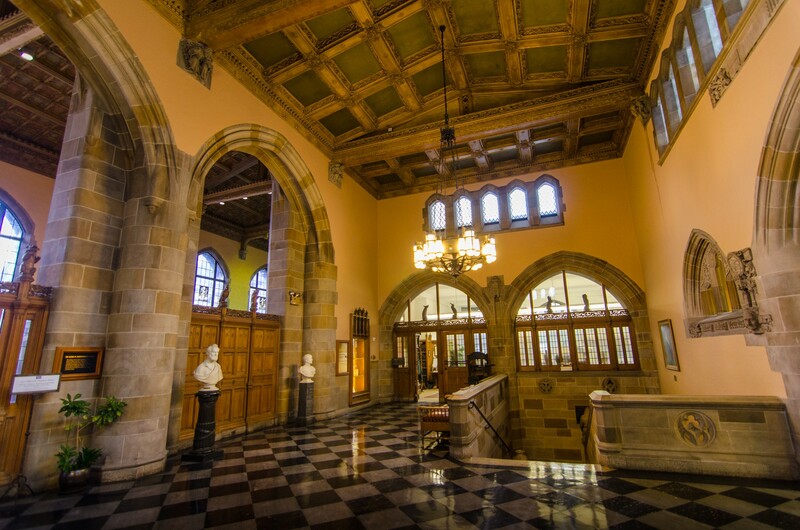 But you may disagree as you ascend the stairs from the heavy stone-and-timber entry to discover a stunning reading room. Enormous arched leaded-glass windows flood the double-height space with light. 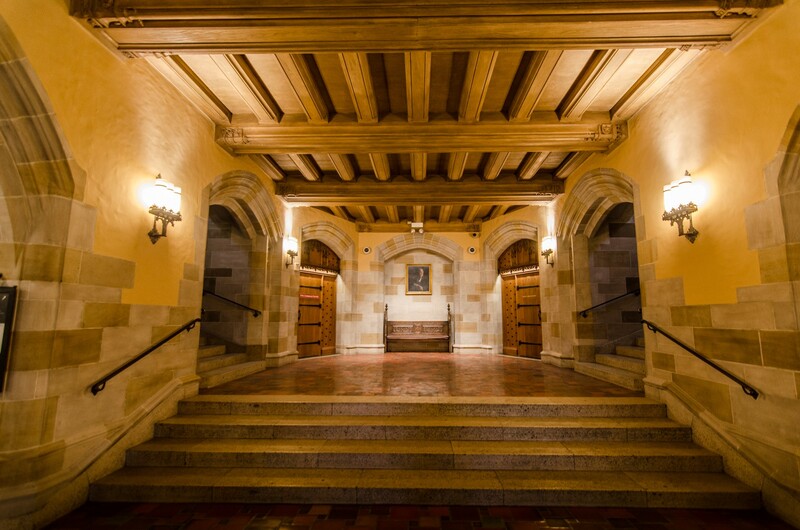 The windows illuminate the intricately-timbered ceiling and elaborate details in carved stone and wood throughout.